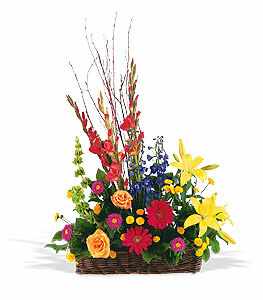 This cheery basket of colorful summer flowers will provide warmth and comfort when it's needed most. Perfect to send to a service or home. Page loaded in 0.5288 seconds.